Consumers are on-line and new agency models are offering a 24/7 service and winning market share. You need to compete without having to make big changes to your business. 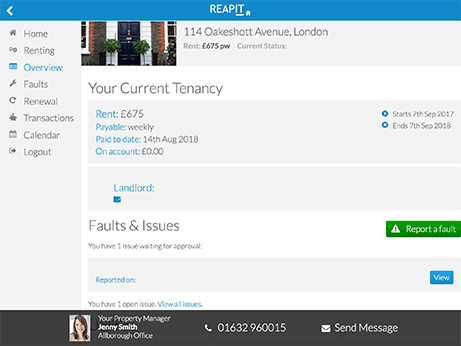 RPS Online provides vendors, landlords, applicants and tenants with access to a huge range of intuitive digital tools that offer self-service options which work seamlessly with your own internal systems and processes. "We’re converting more business, we’re getting more offers"
Traditional agency beats onliners at their own game with proven results. 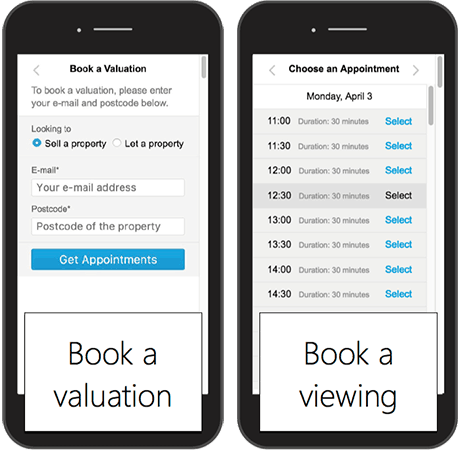 Potential clients get access to an on-line booking system for valuations and viewings, giving them the power to makes their bookings at a time that suits them, while creating more opportunities for you. Live availability from your team is presented on the website with automatic cross-reference of postcode entered to staff availability. Once a booking is processed, it automatically triggers emails and text messages to the customer and updates your diary. 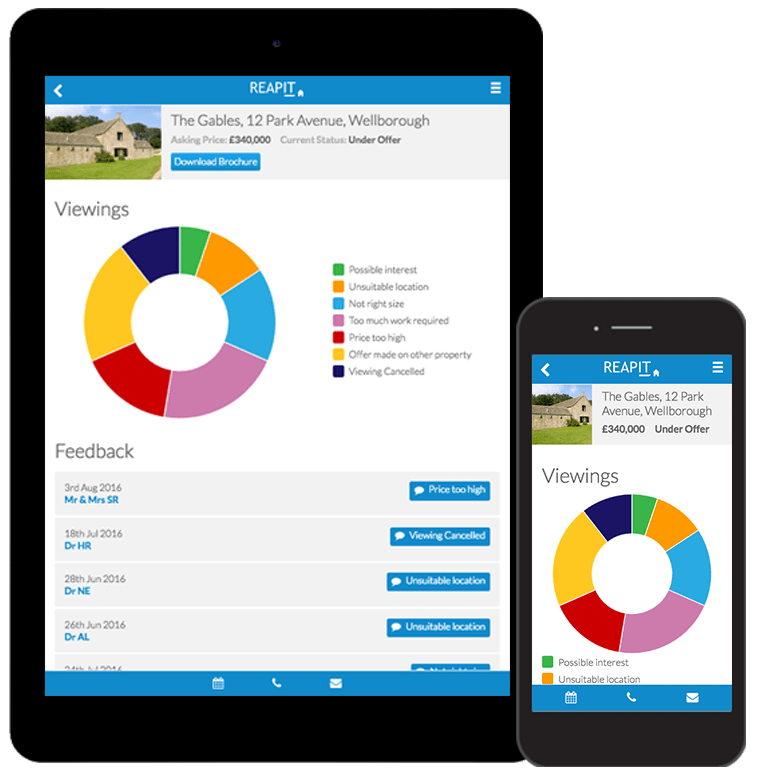 On-line trackers provide 24/7 access to your vendors and landlords to view significant activity, including marketing materials, activity reports, viewing feedback, sales progression and current tenancies. Tenants are given the ability to report faults, submit meter readings, review transactions and also inspection reports. 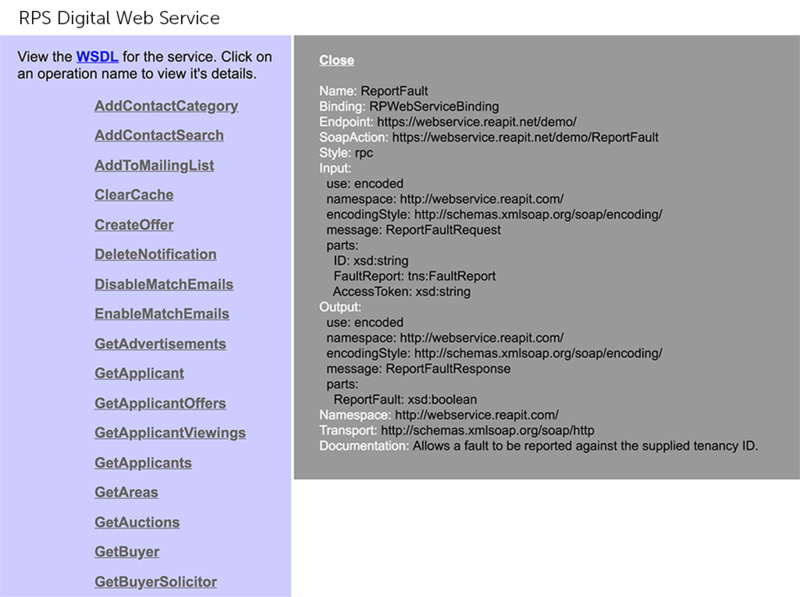 API integration with RPS Online offers full branding for your business along with integration within your website. RPS Online is supported by a number of integrations from other leading suppliers to provide a seamless link between selected partners.